Главная > Том VIII № 6 2012 г. > ФедарауМ. Делирий и возбуждение являются распространенными, серьезными и часто недостаточно распознанными и диагностированными состояниями у больных в отделениях реаниматологии, и, потенциально, могут оказывать неблагоприятное влияние на результаты лечения. Как правило, для предотвращения этих состояний, больные в отделениях реаниматологии находятся под влиянием седативных препаратов и анальгетиков. Помимо диагностики делириозных состояний, одним из наиболее важных аспектов лечения в отделениях реаниматологии является четкое понимание механизмов действия отдельных препаратов, а также условий их применения с учетом преимуществ, недостатков и побочных эффектов. Мы считаем критически важным для врачей-клиницистов и руководства отделений реаниматологии разработку протоколов, регламентирующих назначение седативных препаратов, которые зависели бы от специфики и направленности каждого отделения и учреждения здравоохранения. Усилия должны быть также направлены на внедрение в практику новейших препаратов, таких как дексмедетомидин и ремифентанил. Ранее не принимавшиеся во внимание иммуномодулирующие свойства седативных веществ могут оказывать значительное влияние на результаты лечения и заслуживают тщательного изучения. Параллельно с улучшением нашего понимания того, как действуют те или иные препараты, будут расширяться и наши возможности по их использованию в зависимости от специфики заболевания и условий лечения. Ключеые слова: делирий, седация, анальгезия. 1. Angus D.C., Linde-Zwirble W.T., Lidicker J., Clermont G., Carcillo J., Pinsky M.R.Crit. Care Med. 2. Luhr O.R., Karlsson M., Thorsteinsson A., Rylander C., Frostell C.G.The impact of respiratory variables on mortality in non-ARDS and ARDS patients requiring mechanical ventilation.Intensive Care Med.2000; 26 (5): 508—517. 3. Montgomery A.B., Stager M.A., Carrico CJ., Hudson L.D.Causes of mortality in patients with the adult respiratory distress syndrome.Am. Rev. Respir. Dis.1985; 132 (3): 485—489. 4. Jacobi J., Fraser G.L., Coursin D.B., Riker R.R., Fontaine D., WittbrodtE.T., Chalfin D.B., Masica M.F., Bjerke H.S., Coplin W.M., Crippen D.W., Fuchs B.D., Kelleher R.M., Marik P.E., Nasraway S.AJr., Murray MJ., Peruzzi W.T., Lumb P.D.Clinical practice guidelines for the sustained use of sedatives and analgesics in the critically ill adult.Crit. Care Med.2002; 30 (1): 119—141. 5. Cohen I.L., Abraham E., Dasta J.F., Gallagher TJ., Papadakos PJ., Pohlman A.S.Management of the agitated ICU patient.Crit. Care Med.2002; 30 (1 Suppl): S97—S123. 6. Fraser G.L., Prato B.S., Riker R.R., Berthiaume D., Wilkins M.L.Frequency, severity, and treatment of agitation in young versus elderly patients in the ICU.Pharmacotherapy.2000; 20 (1): 75—82. 7. Cohen I., Gallagher TJ., Pohlman A.S., DastaJ.F., Abraham E., Papadakos PJ.Management of the agitated intensive care unit patient.Crit. Care Med.2002; 30 (12): S97—S124. 8. Pun B.T., Ely E.W.The importance of diagnosing and managing ICU delirium.Chest.2007; 132 (2): 624—636. 9. Ely E.W., Gautam S., Margolin R., FrancisJ., May L., Speroff T., Truman B., Dittus R., Bernard R., Inouye S.K.The impact of delirium in the intensive care unit on hospital length of stay.Intensive Care Med.2001; 27 (12): 1892—1900. 10. Ely E.W., Shintani A., Truman B., Speroff T., Gordon S.M., Harrell F.E.Jr., Inouye S.K., Bernard G.R., Dittus R.S.Delirium as a predictor of mortality in mechanically ventilated patients in the intensive care unit.JAMA.2004; 291 (14): 1753—1762. 11. American Psychiatric Association: Diagnostic and statistical manual of mental disorders. 4th ed. (DSM IV). Washington, DC: American Psychiatric Publishing; 1994. 12. Hassan E., Fontaine D.K., Nearman H.S.Therapeutic considerations in the management of agitated or delirious critically ill patients.Pharmacotherapy.1998; 18 (1): 113—129. 13. Ely E.W., Margolin R., FrancisJ., May L., Truman B., Dittus R., Speroff T., Gautam S., Bernard G.R., Inouye S.K.Evaluation of delirium in critically ill patients: validation of the confusion assessment method for the Intensive Care Unit (CAM-ICU).Crit. Care Med.2001; 29 (7): 1370—1379. 14. Stawicki S.P., Gerlach A.T.Delirium assessment in the intensive care unit: An overview of objective diagnostic criteria and scoring tools. OPUS 12.Scientist.2008; 2 (4): 13—16. 16. Kress J.P, Pohlman A.S., O &#8216;Connor M.F., Hall J.B.Daily interruption of sedative infusions in critically ill patients undergoing mechanical ventilation.N. Engl. J. Med.2000; 342 (20): 1471—1477. 17. Lund N., Papadakos PJ.Barbiturates, neuroleptics, and propofol for sedation.Crit. Care Clin.1995; 11 (4): 875—886. 18. Hansen-Flaschen J., Cowen J., Polomano R.C.Beyond the Ramsay scale: need for a validated measure of sedating drug efficacy in the intensive care unit.Crit. Care Med.1994; 22 (5): 732—733. 19. Riker R.R., Picard J.T., Fraser G.L.Prospective evaluation of the Sedation-Agitation Scale for adult critically ill patients.Crit. Care Med.1999; 27 (7): 1325—1329. 20. Devlin J.W., Boleski G., Mlynarek M., NerenzD.R., Peterson E., Jankowski M., Horst H.M., Zarowitz B.J.Motor Activity Assessment Scale: a valid and reliable sedation scale for use with mechanically ventilated patients in an adult surgical intensive care unit.Crit. Care Med.1999; 27 (7): 1271—1275. 21. Riker R.R., Fraser G.L.Monitoring sedation, agitation, analgesia, neuro-muscular blockade, and delirium in adult ICU patients.Semin. Respir. Crit. Care Med.2001; 22 (2): 189—198. 22. Lewis K.S., Whipple J.K., Michael K.A., Quebbeman EJ.Effect of analgesic treatment on the physiological consequences of acute pain.Am. J. Hosp. Pharm.1994; 51 (12): 1539—1554. 23. Levine R.L.Pharmacology of intravenous sedatives and opioids in critically ill patients.Crit. Care Clin.1994; 10 (4): 709—731. 24. Shapiro BA., WarrenJ., EgolA.B., Greenbaum D.M., JacobiJ., Nasraway SA., Schein R.M., Spevetz A., Stone J.R.Practice parameters for intravenous analgesia and sedation for adult patients in the intensive care unit: an executive summary. Society of Critical Care Medicine.Crit. Care Med.1995; 23 (9): 1596—1600. 25. Tipps L.B., Coplin W.M., Murry K.R., Rhoney D.H.Safety and feasibility of continuous infusion of remifentanil in the neurosurgical intensive care unit.Neurosurgery.2000; 46 (3): 596—602. 26. AlbaneseJ., ViviandX., Potie F., Rey M., Alliez B., Martin C.Sufentanil, fentanyl, and alfentanil in head trauma patients: a study on cerebral hemodynamics.Crit. Care Med.1999; 27 (2): 407—411. 27. Watling S.M., Dasta J.F., Seidl E.C.Sedatives, analgesics, and paralytics in the ICU.Ann. Pharmacother.1997; 31 (2): 148—153. 28. Gilliland H.E., Prasad B.K., Mirakhur R.K., Fee J.P.An investigation of the potential morphine-sparing effect of midazolam.Anaesthesia.1996; 51 (9): 808—811. 29. Watling S.M.,Johnson M., YanosJ.A method to produce sedation in critically ill patients.Ann. Pharmacother.1996; 30 (11): 1227—1231. 30. Shafer A.Complications of sedation with midazolam in the intensive care unit and a comparison with other sedative regimens.Crit. Care Med.1998; 26 (5): 947—956. 31. Young C., Knudsen N., Hilton A., Reves J.G.Sedation in the intensive care unit.Crit. Care Med.2000; 28 (3): 854—866. 32. Kamijo Y., Masuda T., Nishikawa T., Tsuruta H., Ohwada T.Cardiovascular response and stress reaction to flumazenil injection in patients under infusion with midazolam.Crit. Care Med.2000; 28 (2): 318—323. 33. Bailie G.R., Cockshott I.D., Douglas E.J., Bowles B.J.Pharmacokinetics of propofol during and after long-term continuous infusion for maintenance of sedation in ICU patients.Br.J. Anaesth.1992; 68 (5): 486—491. 34. Barrientos-Vega R., Mar Sanchez-Soria M., Morales-Garcfa C., Robas-Gomez A., Cuena-Boy R., Ayensa-Rincon A.Prolonged sedation of critically ill patients with midazolam or propofol: impact on weaning and costs.Crit. Care Med.1997; 25 (1): 33—40. 35. Bennett S.N., McNeil M.M., Bland L.A., Arduino M.J., Villarino M.E., Perrotta D.M., Burwen D.R., Welbel S.F., Pegues D.A., Stroud L.
36. Abraham E., Papadakos PJ., Tharratt R.S., Hall J.B., Williams GJ.Effects of propofol containing EDTA on mineral metabolism in medical ICU patients with pulmonary dysfunction.Intensive Care Med.2000; 26 (Suppl 4): S422—S432. 37. Mirenda J., Broyles G.Propofol as used for sedation in the ICU.Chest.1995; 108 (2): 539—548. 38. Cremer O.L., Moons K.G., Bouman E.A., Kruijswijk J.E., de Smet A.M., Kalkman C.J.Long-term propofol infusion and cardiac failure in adult head-injured patients.Lancet.2001; 357 (9250): 117—118. 39. Fospropofol. Product information. Woodcliff Lake, N.J.: Eisai Inc.
41. Fechner J., Schwilden H., Schuttler J.Pharmacokinetics and pharmaco-dynamics of GPI 15715 or fospropofol (Aquavan injection)-a water-soluble propofol prodrug.Handb. Exp. Pharmacol.2008; 182: 253—266. 42. Padegal V., Venkata B., Papadakos P.J.Neuroleptic malignant syndrome and malignant hyperthermia. In: Kruse J.A., Fink M.P., Carlson R.W. (eds.). Saunders manual of critical care. Philadelphia, PA: WB Saunders; 2002: 301—303. 43. Gertler R., Brown H.C., Mitchell D.H., Silvius E.N.Dexmedetomidine: a novel sedative-analgesic agent.Proc. (Bayl. Univ. Med. Cent. ).2001; 14 (1): 13—21. 44. Chhangani S.V., Papadakos P.J.The use of dexmedetomidine for sedation in patients with traumatic brain injury.Anesthesiology.2002; 97 (ASCCA Suppl): B20. 45. 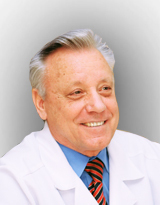 Barreiro T.J., Papadakos P.J.Current practices in intensive care unit sedation. In: Papadakos P.J., Szalados J.E. (eds.). Critical care. The requisites in anesthesiology. Philadelphia, PA: Elsevier Mosby; 2005. 46. Rodrigues M.G., Salgado D.R., Paiva R.N.A., Chindamo G., Martins L.C., Verdeal J.C.R.Use of dexmedetomidine beyond 24 hours in the intensive care unit.Crit. Care.2003; 7 (Suppl 2): 95. 47. Riker R.R., Shehabi Y., Bokesch P.M., Ceraso D., Wisemandle W., Koura F., Whitten P., Margolis B.D., Byrne D.W., Ely E.W., Rocha M.G.Dexmedetomidine vs midazolam for sedation of critically ill patients: a randomized trial.JAMA.2009; 301 (5): 489—499. 49. Devlin J.W., Roberts R.J., Fong J J., Skrobik Y., Riker R.R., Hill N.S., Robbins T., GarpestadE.Efficacy and safety of quetiapine in critically ill patients with delirium: a prospective, multicenter, randomized, double-blind, placebo-controlled pilot study.Crit. Care Med.2010; 38 (2): 419—427. 50. Maneeton B., Maneeton N., Srisurapanont M.An open-label study of quetiapine for delirium.J. Med. Assoc. Thai.2007; 90 (10): 2158—2163. 52. Schiemann A., Hadzidiakos D., Spies C.Managing ICU delirium.Curr. Opin. Crit. Care.2011; 17 (2): 131—140. 53. Tesar G.E., Murray G.B., Cassem N.H.Use of high-dose intravenous haloperidol in the treatment of agitated cardiac patients.J. Clin. Psychopharmacol.1985; 5 (6): 344—347. 54. Tesar G.E., Stern T.A.Rapid tranquilization of the agitated intensive care unit patient.J. Intensive Care Med.1988; 3 (3): 195—201. 55. Hudetz JA., Iqbal Z., Gandhi S.D., Patterson K.M., Byrne AJ., Hudetz A.G., Pagel P.S., Warltier D.C.Ketamine attenuates postoperative cognitive dysfunction after cardiac surgery.Acta Anaesthesiol. Scand.2009; 53 (7): 864—872. 56. O&#8217;Brien J.M.Jr, Lu B, Ali N.A., Martin G.S., Aberegg S.K., Marsh C.B., Lemeshow S., Douglas I.S.Alcohol dependence is independently associated with sepsis, septic shock, and hospital mortality among adult intensive care unit patients.Crit. Care Med.2007; 35 (2): 345—350. 57. DeBellis R., Smith B.S., Choi S., Malloy M.Management of delirium tremens.J. Intensive Care Med.2005; 20 (3): 164—173. 58. Bayard M., McIntyre J., Hill K.R., Woodside J.Alcohol withdrawal syndrome.Am. Fam. Physician.2004; 69 (6): 1443—1450. 59. Myrick H., Malcolm R., Randall P.K., Boyle E., Anton R.F., Becker H.C., Randall C.L.A double-blind trial of gabapentin versus lorazepam in the treatment of alcohol withdrawal.Alcohol Clin. Exp. Res.2009; 33 (9): 1582—1588. 60. Bonnet U., Hamzavi-Abedi R., Specka M., WiltfangJ., Lieb B., Scherbaum N.An open trial of gabapentin in acute alcohol withdrawal using an oral loading protocol.Alcohol Alcohol.2010; 45 (2): 143—145. 62. Borg S., Kvande H., Sedvall G.Central norepinephrine metabolism during alcohol intoxication in addicts and health volunteers.Science.1981; 213 (4512): 1135—1137. 63. Linnoila M., Mefford I., Nutt D., Adinoff B.NIH Conference. Alcohol withdrawal and noradrenergic function.Ann. Intern. Med.1987; 107 (6): 875—889. 64. Bjorkqvist S.E.Clonidine in alcohol withdrawal.Acta Psychiatr. Scand.1975; 52 (4): 256—263. 65. Pandharipande P.P., Pun B.T., Herr D.L., Maze M., Girard T.D., Miller R.R., Shintani AK., Thompson J.L.,Jackson J.C., Deppen SA., Stiles RA., Dittus R.S., Bernard G.R., Ely E.W.Effect of sedation with dexmedetomidine vs lorazepam on acute brain dysfunction in mechanically ventilated patients: the MENDS randomized controlled trial. JAMA. 2007; 298 (22): 2644—2653. 66. Reade M.C., OSullivan K., Bates S., Goldsmith D., Ainslie W.R., Bellomo R.Dexmedetomidine vs haloperidol in delirious, agitated, intubated patients: a randomized open-label trial.Crit. Care.2009; 13 (3): R75. 67. HerrD.L., Kelly K., HallJ.B., UlatowskiJ., Fulda G.J., Cason B., Hickey R., Nejman A.M., Zaloga G.P., Teres D.Safety and efficacy of propofol with EDTA when used for sedation of surgical intensive care unit patients.Intensive Care Med.2000; 26 (Suppl 4): S452—S462. 68. Hsing C.H., Lin M.C., Choi P.C., Huang W.C., KaiJ.I., Tsai C.C., Cheng Y.L., Hsieh C.Y., Wang C.Y., Chang Y.P., Chen Y.H., Chen C.L., Lin C.F.Anesthetic propofol reduces endotoxic inflammation by inhibiting reactive oxygen species-regulated Akt/IK^/NF-kB signaling.PloS One.2011; 6 (3): e17598. 69. Mikawa K., Akamatsu H., Nishina K., Shiga M., Maekawa N., Obara H., Niwa Y.Propofol inhibits human neutrophil functions.Anesth. Analg.1998; 87 (3): 695—700. 70. Corcoran T.B., Engel A., Sakamoto H., O &#8216;Shea A., O&#8217;Callaghan-Enright S., Shorten G.D.The effect of propofol on neutrophil function, lipid perox-idation and inflammatory response during elective coronary artery bypass grafting in patients with impaired ventricular function.Br. J. Anaesth.2006; 97 (6): 825—831. 71. Kim S.N., Son S.C., Lee S.M., Kim C.S., Yoo D.G., Lee S.K., Hur GM., ParkJ.B., Jeon B.H.Midazolam inhibits proinflammatory mediators in the lipopolysaccharide-activated macrophage.Anesthesiology.2006; 105 (1): 105—110. 72. Galdiero F., Bentivoglio C., Nuzzo I., Ianniello R., Capasso C., Mattera S., Nazzaro C., Galdiero M., Romano Carratelli C.Effect of benzodiazepines on immunodeficiency and resistance in mice.Life Sci.1995; 57 (26): 2413—2423. 73. da Silva F.R., Lazzarini R., de Sa-Rocha L.C., Morgulis M.S., de Oliveira Massoco C., Palermo-Neto J.Effect of acute and long-term diazepam administration on neutrophil activity: a flow cytometric study.Eur. J. Pharmacol2003; 478 (2—3): 97—104. 74. Weinert C.R., Kethireddy S., Roy S.Opioids and infections in the intensive care unit, should clinicians and patients be concerned?J. Neuroimmune Pharmacol.2008; 3 (4): 218—229. 75. Roy S., WangJ., Charboneau R., Loh H.H., Barke RA.Morphine induces CD4+ T cell IL-4 expression through an adenylyl cyclase mechanism independent of the protein kinase A pathway.J. Immunol.2005; 175 (10): 6361—6367. 76. Venn R.M., Bryant A., Hall G.M., Grounds R.M.Effects of dexmedetomi-dine on adrenocortical function, and the cardiovascular, endocrine and inflammatory responses in post-operative patients needing sedation in the intensive care unit.Br. J. Anaesth.2001; 86 (5): 650—656.